Thanks to trips and busy schedules, I've missed a couple Sunday Supper posts, but I'm back today with a fun one. This is a bit of a twist on the old Family Pizza Night! Why not make it a stromboli?? Line a rectangular baking sheet with foil and spray lightly with non-stick cooking spray. 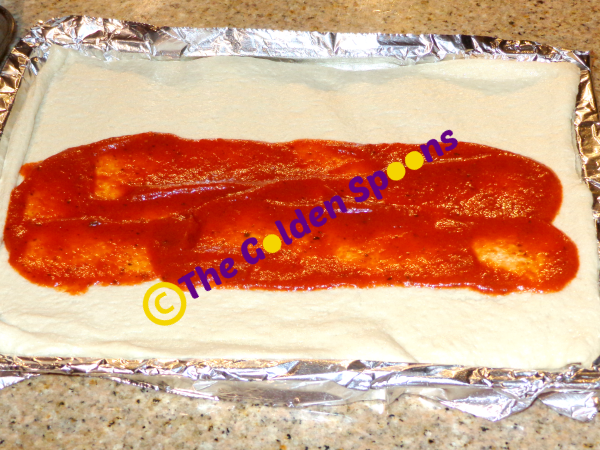 Roll the canned dough out onto the baking sheet. Press it gently to form a large rectangle that covers most of the pan. 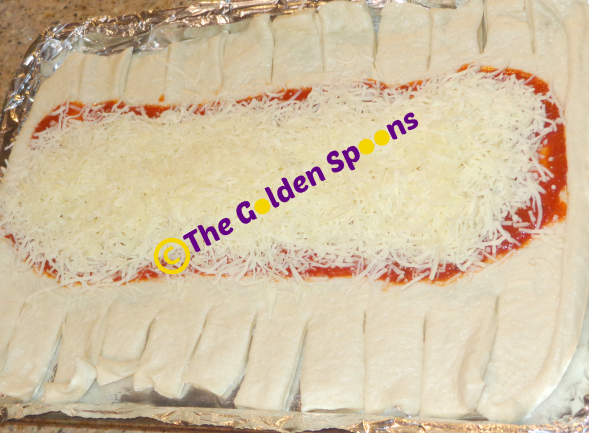 Spread sauce down the center of the dough. 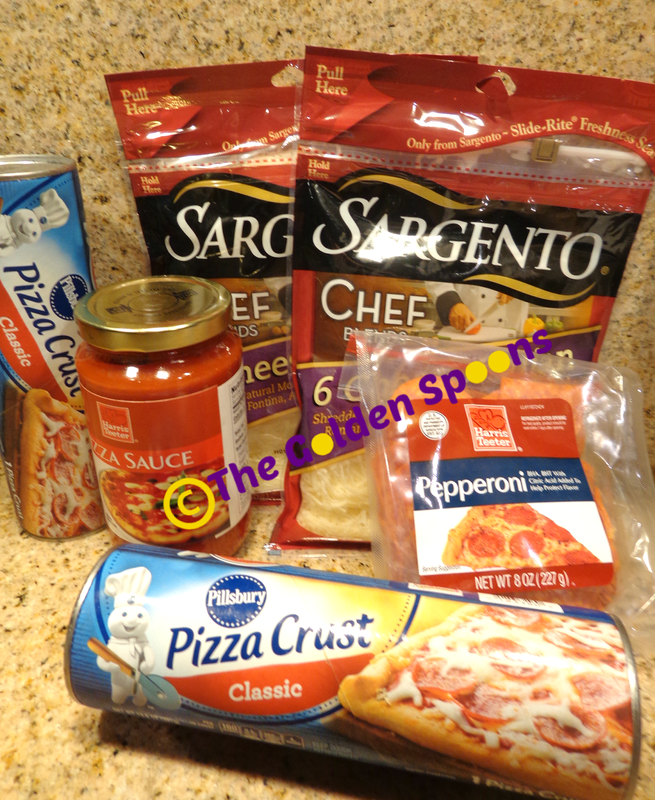 Add your toppings and then the cheese. Here comes the fancy part! 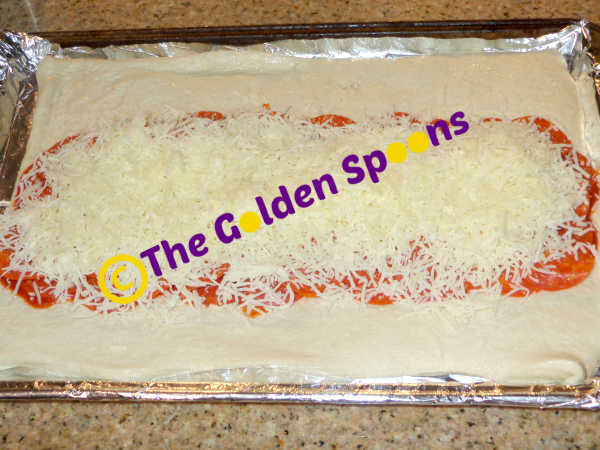 Use kitchen scissors to cut slits in the dough on either side of the sauce. 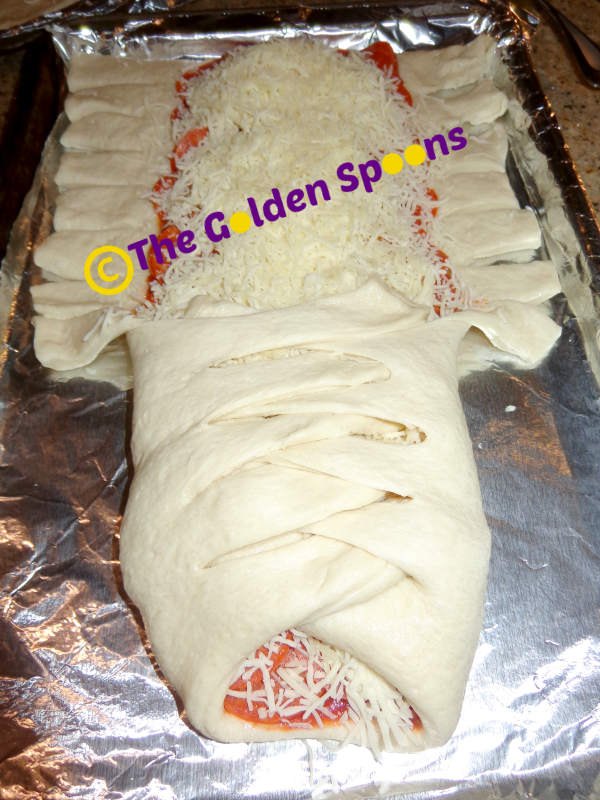 Then, starting at one end, criss cross the slits over the sauce in a makeshift braid. 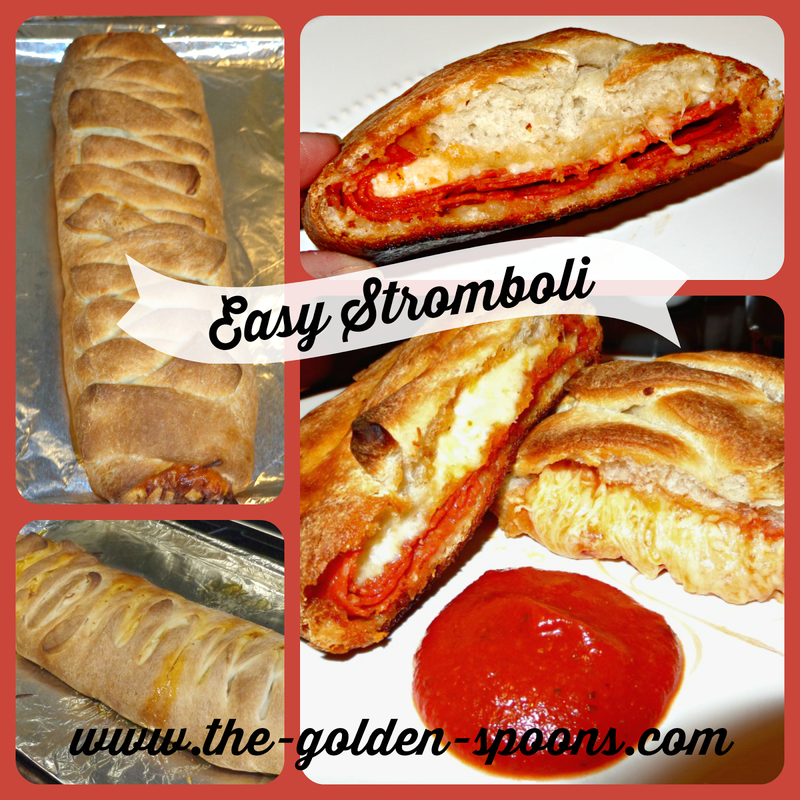 Once you have done the whole thing, pop your stromboli in the oven and bake at 425 degrees for about 20 minutes. Voila!! Fun, kind of fancy, and super yummy!! This is also a good one to let the kids help with. Enjoy! Happy Mother's Day to you too, Janine!! Hope you have a wonderful day! I was missing these posts! I went to a pizzeria last night with a friend (on our way to an ice cream parlor for me) and the stromboli looked so good. And smelled so good. So it was just on my mind yesterday! Now, you can make your own! :-) Glad to know someone was actually missing my recipe posts, too.